Awesome service and delivery. Been getting fireworks from these guys for years! 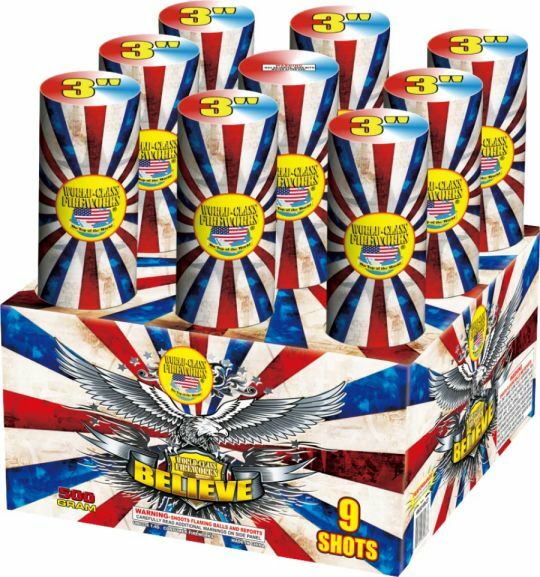 Highly recommend them for your firework needs! A must have every year!!! Fan favorite! We use this in one of our sets combined with other finale racks like Majestic Brocades and Mother of all Bombs, then use a few mid level effects like CounterMeasures and Party Favor, and then several lower level effects of your choosing. We use a BlusCon Remote firing system with about 96 triggers but that's overkill we just want to be able to do exactly what we want when we want lol! Superior FW is the best in the biz! Superior FW is the best there is! Ultra fast shipping with instant tracking. Packed to arrive in TACT! Customer service responded to my questions in seconds (no joke)! No I was not paid for this review and yes I am a real customer 6+ years. This one was a definite knock out! It was a heavy hitter with a chest thumping lift off and great visual effects.